Gabby turned three on Monday! It is so hard to believe that my little baby is 3! 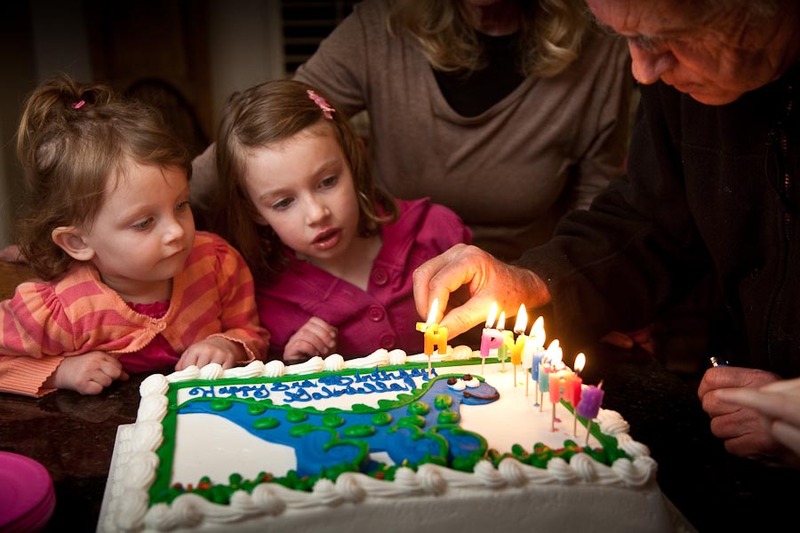 Here she is with her big sister and grandparents about to blow out the candles on her dinosaur cake (that she picked out all by herself!) Later that night while brushing her teeth she started crying – saying that she didn’t want to be three, she wanted to stay two. She has reminded us several times that she is still the baby – and that is fine with me!